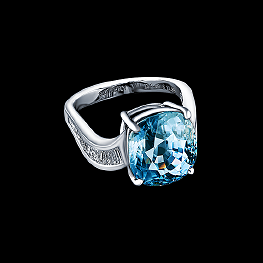 «Mahadavi» is name of Birman princess Inge Eberhardt. 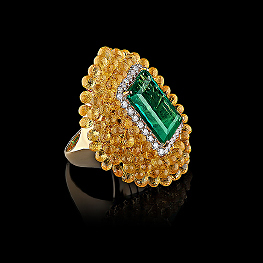 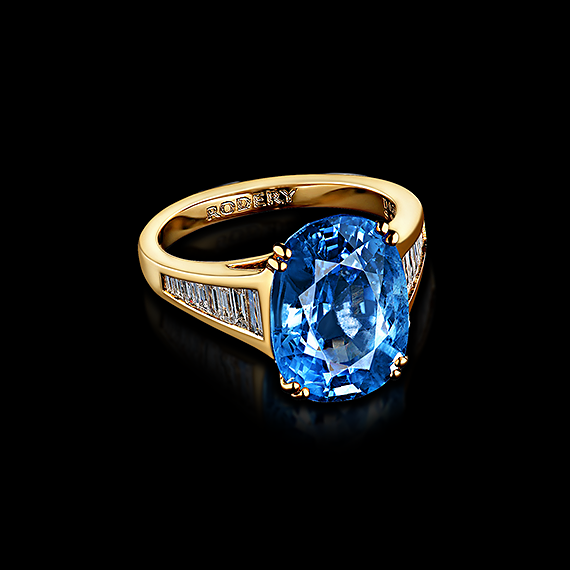 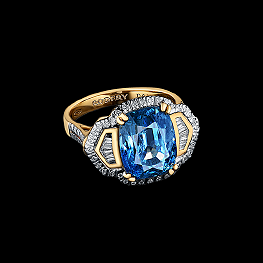 The deeper blue gemstone encircled with gold and diamond baguettes is a classic form, that would never come out of fashion. 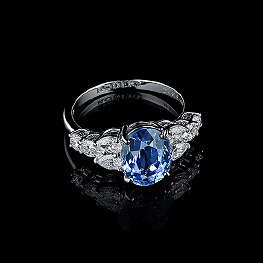 It is considered that sapphire has a magical feature to protect the owner from evil eye and negativity.